Between Australia and New Zealand there’s a kind of climate change fed thing on the prowl in the off-shore waters. It takes the form of an angry layer of far warmer than normal surface water. And it’s been lurking around since late November. We can see this disruptive beast pretty clearly in the sea surface temperature anomaly maps provided by Earth Nullschool. Today’s readings show temperatures in this new blob hitting between 3.5 and 4.2 degrees Celsius above average across a broad expanse of ocean. That’s much, much warmer than normal for this region of water. A place where 2 degree above average sea surface readings would tend to be unusual. But with global temperatures now hitting between 1.1 and 1.2 C above 1880s averages, we’re starting to see the climate dice more loaded for these kinds of extreme events. To be clear, this is not the kind of extremity we’d experience in a world at 2 C warming, or 4 C warming, or 7 C warming. But we’ve moved up the scale and weather, temperature, and ocean environmental conditions are being harmfully impacted. Back on November 30th, the blob contributed to an extreme rainfall event impacting Southeast Australia. One that dumped upwards of 10 inches or more in a rather short period. Since that time, South Australia has been seeing continued instances of extreme weather. Over recent days, towering supercell storms rocked Victoria with lightning, flash floods, damaging winds, and golf-ball sized hail. In Melbourne, a flood washed away a 40 foot section of a foot path. Meanwhile western parts of Sydney Australia were sweltering under record-shattering heat — with temperatures hitting a never before seen high of 111 F (44 C) on Tuesday, December 19th. Other regions experienced over 113 F (45 C) temperatures. The off shore hot blob is laying its hot, moist tendrils of influence on these weather extremes in a number of ways. First the blob is belching an enormous amount of moisture into the atmosphere above the local ocean. This moisture is being cycled over SE Australia by the prevailing winds and is adding convective energy to thunderstorms. In addition, the blob is also contributing to a sprawling ridge of high pressure that sits squarely over top it. The ridge, in turn, is baking parts of Australia with record hot temperatures. Hot ocean blobs like the thing off Australia are a feature of human-caused climate change in that ocean and atmospheric warming generates an environment in which these pools of excessive warmth are more likely to form. These are anomalous events that stretch or break the boundaries of past weather and climate patterns by adding unusual amounts of heat and moisture to local and region climate systems in the environments in which they form. A hot blob forming off the U.S. West Coast during 2014-2015 contributed to a number of climate change associated events like the severe California Drought, a ridiculously resilient ridge of high pressure, western wildfires, intense rains into Alaska and Canada and a number of mortality events among sea life that were triggered by heat, low oxygen content, or blooms of harmful microbes that thrive in warmer ocean environments. Though short-lived in comparison to the Hot Blob that lurked off the U.S. West Coast for the better part of two years, the Australia-New Zealand blob is already having a variety of atmospheric and oceanic impacts. Notably, in addition to the wrenching influences on local and regional weather described above, the blob is also contributing to risks to Australia’s corals. Over the past two years, the Great Barrier Reef (GBR) experienced back to back bleaching events. These were the worst ever seen by the reef. And they were triggered by human-caused climate change. This year, in part due to the blob, risks to corals between Australia and New Zealand are again high. If the blob shifts north and west, then the GBR again falls under the gun. This time for a third year in a row. Notably coral reef stress warnings and alerts abound throughout the zone between Australia and New Zealand in NOAA’s Coral Reef Watch report at present. Due to the potential to continue to contribute to various weather and ocean impacts, the present climate change influenced hot blob between Australia and New Zealand bears continued monitoring. It has, however, already generated a number of impacts. And it is likely that more will follow. In the spirit of the giving season, I will donate 20 dollars to the Sierra Club or 350.org (your choice) in the name of the first person who can answer this question correctly. Matching donations are welcome. Deadline is 5 PM when I will post the answer in today’s blog. I’ll match. How does that work? Can I send it to you to include with yours? That would work best here, if possible. Either that or honor system. Click through to see entire thread. Already have one person who’s starting to get it. Not the full answer yet, though. Longshanks polar express (strange name) is presently in the lead. Not a complete answer yet, though. Hasn’t provided the full context. Excellent. Will forward to you, then. I can’t see Longshanks’ post. Twitter doesn’t view well on this rig. Any easy way to see the thread? Going to provide some hints at 4 PM. Seems like everyone is stumped. Matching bit sent, along with something for your work. Didn’t get the option to include a message but you’ll know what’s up. LOL! I guess I should have corrected for internal bias! Twitter does weird stuff with subposts. Will try to find the top of the thread and post it here. He’s acting a bit trollish, but he got about half the answer right. As the moist bagel (or slice of bread, correcting for internal bias) warms, it dries, making it arid, inedible and likely to burst into flames. What happened to California in 2017, weather and climate wise, at the beginning? Lots and lots of moisture for the first time in over four years. Bob ! where have you been? havent seen you in ages, we really need you now. ml, you don’t ‘need’ “Bob”, however you *must* have slack! “Bob” is not toast. Good stuff. This kid explains how much juice electric toasters consume and gets into why that’s bad, why currently electricity production is harmful. Fun vid; well done with the plot and edits. “Do you know how electricity is made? The most common way of creating electricity in the US is by buring fossil fuels, such as oil, coal or gas. A solar oven can easily bake a potato. Pretty amazing, considering the low, low tech involved. Interesting but pertinent sub-plot. Good thing we’re mostly renewables here. This is a riddle requiring a multi-part answer. 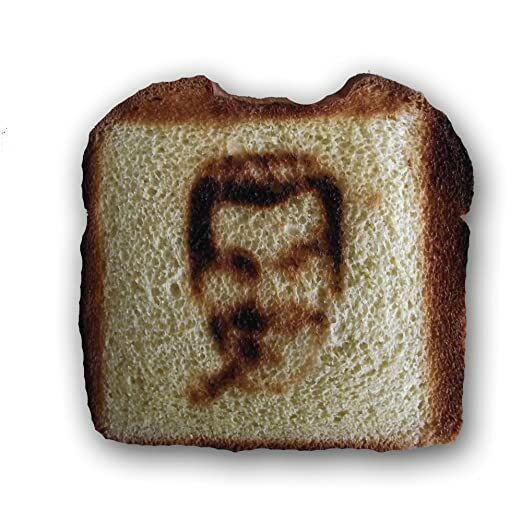 The toast is an illustration showing something that happened this with regards to California fires. Something involving extremes between temperature and moisture in 2017 but is related to overall warming. :p not entirely. I gave it to Longshanks. He got the first two parts right. “Scientific monitoring since 1944 by CSIRO at Maria Island, off the east coast of Tasmania, showed that surface water temperatures in the Tasman Sea have risen by nearly 2C over the past 60 years. This warming, one of the most rapid in the southern hemisphere oceans, is due to globally increasing sea-surface temperatures and local effects caused by southward extension of the East Australian Current. Some fish species have moved South, and are now found off the East Coast of Tasmania due to the warming waters. Yep. Another climate change signal. However, this particular hot blob is a warm excession of even the larger trend. Right side of graph. Hi Robert. Great to see you covering an Aussie event. The site you refer to in Sydney is Penrith I think. It actually broke its all time December high twice this month. This site allows you to download data for any weather station in Australia. Penrith shows a rate of warming of about 0.3C/decade which is about twice the global rate (unfortunately though there are only 23 years of data). Locations in southeastern Australia away from the narrow coastal strip show greater rates of warming over a 30 year period of about 0.4C/decade with Spring warming at about 0.6C/decade. Very coastal locations (<10 km from water) have lower rates of warming due to moderating effects of sea breezes. On the day that Penrith hit 44C, coastal gauges only got to about 34-35C. This demonstrates both the variability between ocean and land warming and local geographic effects. Anywhere in the southern half of Australia during summer (and increasingly spring), you get oven like conditions once the wind blows towards you from the interior of the country. The only blessing is that it is not normally accompanied by high humidity because it is coming from an arid source. Thanks for the specifics here, Glen. Will update in a few mins. Also, the general testimony is very much appreciated. Not a local, so this is really helpful. So it’s worth noting that though the ocean has a local moderating effect on the coastline as well as a moderating impact on the land mass overall, relative warming values over ocean surfaces has a large impact on peak potential temperature intensity. Interaction with the atmosphere in developing preferences for ridging is also a factor. No worries its a pleasure to be able to correspond about this stuff with knowledgeable folk. I have been looking at synoptic charts and the weather since I was 11 years old and i was put in charge of recording rainfall on our farm in rural NSW. Forecast for that day just to the north of the trough is for temps around 36-38 C, so not quite as extreme as the other day, but still pretty warm. December in Australia is basically like June in the NH for those lurking. I’m a bit concerned about the overall heat trend. It’s not just the blob, but both the SST measures and the models through March are showing warmer than normal waters surrounding Australia. Would tend to keep nudging those synoptics you mention. What kinds of humidity levels are you looking at, Glen? That’s another way that super-hot oceans can make adjacent land areas unlivable. This answer is actually to ‘wili’. It seemed like I could not reply directly to him/her. Here are summary records for the Penrith site which Robert has referred to (when he says Western Sydney) for Dec. The 2 record days I refer to are the 14th and 19th Dec. The humidity drops away as it heats up with the winds from central Aust. You can see the 3PM values there at 13 and 17 % after being quite a bit higher in the morning. So we are not approaching wet bulb of 35C, but dangerous nevertheless for nutters who think they can hack the heat. Many sporting and outdoor events cancelled, building work put off, basically anything done outdoors cancelled. Just sit inside and ‘enjoy’ the aircon or go shopping (yay) at the mall. Not my cup of tea. As GWB told us, that also helps defeat terrorism, so it’s really a win-win. giving new, double meaning to the cliche, “like listening to a broken record”. January is the hottest month on average for pretty much all of Aust. In FEBRUARY this year, we broke max Feb temp record in the town where I live 3 times – 3 consecutive days – 44C, 46.8C, 45.9C. The last 2 broke the record (45.0C) for any time of the year by 1.8C and 0.9C respectively. Our family have medium term plans to move to a cooler part of Aust (Northern Tablelands of NSW). Just need my youngest to finish school. Ugh. Hot. Friend went home there for the winter, to escape the summer heat in the States. It was a hot winter, or not a winter. They say, hotter and hotter and hotter every year, quite uncomfortably noticeable. rainfall in the continental southeast. northern Australia since the 1970s. Link to more info if interested. Related- Nan’s 1992 Corolla has ‘seen’ just about every sort of weather since it was assembled at the recently closed Toyota factory on the edge of Melbourne. But Tuesday’s gully washer rain included golf ball sized hail and the fading original silver paint now has a peculiar ball pein ‘hammer’ finish. And the Laser Lite polycarbonate sheeting that was erected in the 70’s at her home site to diffuse the sharp summer sun looks like Swiss Cheese. Off topic, but this is the ugly side of climate change and extreme politics. Richardo Rossello supported Trump initially after the carnage of Puerto Rico; it has now been shown how shallow any promises made by Trump are. Sadly, we obtain little information from news services about how communities are progressing after carnage from climate change intensified storms. I understand some other Carribean islands which are associated with European countries have recovered much more quickly. There’s a few dozen villages in Alaska at imminent risk of destruction due to the lack of sea ice to impede wave erosion. And the US government won’t give them money to move. I guess it could open a pandora’s box when the bill comes in to move places like Houston, New Orleans, Miami, NYC and Boston. And the bill will come in because the paleoclimate record clearly shows that a rise in temperature of just 1.5-2 degrees C above pre-industrial temperature commits the system to 6-9m of sea level rise, a large fraction of which will very likely arrive either this century or next. In this country we have republicans who will do everything they can not to deal with the problem. My opinion is that we need to remove them from power first. They’re the source of the corruption that’s holding this country back. Not that it hasn’t splattered over others, but they’re the dark fountainhead. A two-party system is ridiculous. Modern, civilized countries of much smaller size have multi-party systems that allow for coaltions and cooperation between parties. Highly recommend the brilliant Danish TV series ‘Borgen’, pronounced “boe-wen”. Excellent depiction of a multi-party system in action, clearly illustrated. Writing and acting, standouts. The first two (of three total) seasons are best; the first is top-notch stuff. Is the US either of those things? Recommended reading: ‘Fantasyland’ by Kurt Andersen. “In this sweeping, eloquent history of America, Kurt Andersen shows that what’s happening in our country today—this post-factual, “fake news” moment we’re all living through—is not something new, but rather the ultimate expression of our national character. America was founded by wishful dreamers, magical thinkers, and true believers, by hucksters and their suckers. Fantasy is deeply embedded in our DNA. Yes, but Trump’s doing something that will keep him virtually in power for at least one generation. He’s packing the courts with Federalist Society nominees. Obama had a chance to do this, but didn’t. What happens after this clown’s indicted and impeached and removed from office will be very interesting. i.e. If revelations vis a vis collusion with Russia are proven, will anything he did while in office be allowed to stand? i.e. Treason’s much different than the Watergate crimes. If a standing president is proven to have been in collusion with a foreign power and acted with them in concert to falsely win the election, what happens to any legislation, appointments, etc that were made before they were removed? Seems treason is good grounds to negate many if not all of the moves made by the criminal. Obviously, under those circumstances – proven treason – any official moves Trump made would be under suspicion with regard to how they served his treasonous means and ends. The sooner he’s indicted and removed from office, the better. “We had this idea of a movie that we called Escape from Malibu from this shifting baselines project we do to try and make people a little bit more aware of what’s happening in the ocean. The idea was that Malibu, where it costs $5 million for a little wooden shack to live on the ocean, that it would become such a disgusting place that the only people who live there would be the people who couldn’t afford to move to Montana or Wyoming. Everybody laughs when you say that. But, in fact, we found a place in southwest Florida which is already Escape from Malibu. Saw this story earlier. Gave me a big sh** eating grin. Goodbye slow, clunky coal plants. Batteries are smarter, faster, and will soon be cheaper. Thanks for this, Hugh. Good to see! The Federal Australian neo con LNP government was very contemptuous of the Telsa huge battery development, they keep pushing coal developments. Happily, the Adani coal mine looks as though it has been sunk. Though there are question marks in relation to potential new coal mines in NSW, and extensions of existing mines. Perhaps the most ominous potential impact from warming oceans is the thinning and destruction of floating ice shelves which act as buttresses slowing the flow of ice sheets into the ocean. A rise in temperature of just 1 degree C took out the ice shelf for Jakobshavn Glacier in Greenland and the Antarctic Peninsula has lost 8-10 ice shelves over the last 25-30 years according to Jonathan Bamber. When the Larsen B ice shelf broke up there in 2002 the glaciers behind sped up by a factor of 6-8 and are still flowing at that accelerated rate today because the cork was removed. There’s little ice there, but further south we’re worried about ice shelves which are holding back a lot more ice. Just for fun, Eric Rignot said that if we sped up all of Antarctica’s glaciers by a factor of 6.5 we’d see a sea level rise rate of 4cm per year, the same which occurred 14,600 years ago for four centuries during Meltwater Pulse 1A. There were larger ice sheets then, but that rate indicates that the ice sheets can do dramatic things when they collapse. 1 to 1.5 C is no joke. It probably means 10-20 feet of sea level rise long term. Given what we’ve seen at 1C I’d agree with you. Is 10-20 feet of long term sea level rise catastrophic at rates of 3-5 feet per century? My opinion is it’s borderline — depending on how able countries are to adapt. But It’s definitely a serious problem at the very least. Definitely something that hits economies hard and generates mass displacement and disruption. It’s just not at the same scale as 2 C or 4 C or worse. One of those ratcheting issues again. Antinuclear? I just calculated that we would need about six thousand 3000 MWt nuclear reactors (17,7 TW) working at near 100% thermal efficiency to sequester and “unburn” the CO2 at the same rate that we currently produce and dump into the atmosphere (1300 metric tonnes of CO2 per second). Suppose you would like to have wind turbines instead. You would need about six million 6 MW wind turbines at a genereous 50% capacity factor. Those have a rotor diameter of about 150 meters and the recommended separation distance between the turbines is about 7 rotor diameters, or about a kilometer. So you could fit about one of those per square kilometer. Even if you cheated a little and built them in closer proximity to each other, you would still be talking of millions of square kilometers, or an area of about half the size of continental United States. So, perhaps solar panels? Let’s assume you’ll get 50 watts per square meter (averaged over the day and night and assuming it’s not cloudy very often). You would need about 350 000 square kilometers of solar panels (with 100% land coverage). That is still a size of a fairly large country. You could do this sequestering with smaller energy input if you just liquefied the CO2 and injected it into basaltic rock formations where it would form carbonate minerals. You would have to drill quite a many injection wells, though! These are just “back of the envelope” calculations but my intention is not to be 100% accurate, rather I want everyone to understand the immense scale of the problem we are facing. And remember, the calculations above are only to counteract our current emissions as they happen. In reality we should also “unburn” (or at least take back) several decades worth of CO2 emissions. In short, I think we’re most likely screwed, or at least we will come really really close to wiping ourselves and pretty much everything else off the face of the planet. Nuclear has environmental damage, lack of resiliency to climate change (sea level rise), and negative economic learning curve going against it. It’s definitely a low carbon or zero emissions in practice energy source. But right now it can’t compete with renewables on cost, scaling, innovation, safety or that positive learning curve mentioned above. What we need to deal with the climate crisis is low cost and rapid scaling. I’m not going to weigh in entirely against nuclear. Shutting off nuclear to burn coal would be a bad trade, IMO. However, the anti-nuclear activists do have a point RE safety and pollution. Since I’d like to encourage discussion and debate about climate change solutions, I’m going to leave the forum open for discourse and argument over this issue. That said, I am not at all sympathetic to anti-factual attacks on renewable energy that have been proven wrong time and time again. As you may be aware of, Norwegian state oil company Statoil (by the way one of those top 100- historic polluters mentioned in your divestment article) has been building out what must surely be some of the largest wind farms in the world outside the coast of UK. They recently finished work with one of them. I read somewhere that Statoil received 1,6 billion pounds (subsidy) for building this facility that had a cost of 1,5 billion pounds. So I suppose Statoil receives this big sum for putting up the windmills (at own cost) and selling the power (for own gain) for a “reasonable” price. (There is also a company from Abu Dhabi I think contributing with financing.) The CEO of Statoil was recently on TV here, in connection with opening of this facility, stating that he believed they would manage without subsidies around 2025. This seem to be a long time off. I hope that he is not indirectly saying that they put almost as much energy into the production/ installation of the windmills as they get out from them (at present), but the numbers can make you wonder. Also, I just read a couple of articles in the Guardian on how the EU is counting on burning down forests to reach half of their renewable targets. Wood burning can be said to be renewable, but in this case you get enormous CO2 emissions (much more than with coal burning) up front, but the “capturing” of these emissions by later regrowth will take place so far into the future that we can really not afford to wait for it.. Anyone recall the ‘No Nukes’ movement and releated concerts? Thanks for this, Rat. OT: I’m breaking up my investigation into two parts — one illustrative and narrative, the other science-based. We’ll see which one flies better. First part posting tonight. It was a fairly amazing day. Just about every performer got on stage during each other’s sets. You can see from the vids, folks were genuinely committed. The culture of popular music in the US was much different then than it is today. Pete Seegar is dead and, apparently, in popular music so is geniune concern for more than just one’s career and Facebook likes. Maggie Kuhn, Barry Commoner, Bella Abzug…who even remembers them?! btw, the show was free. But look at the immense energy and power density of nuclear compared to wind and solar, and even hydro. Nuclear also produces power quite reliably 24/7 unlike intermittent wind and solar. Hydro can suffer from a large scale drought. And it’s not like wind and solar don’t come with problems of their own. For example, the energy storage problem to counteract their intermittancy is nowhere near to being solved yet (other than pumped hydro and/or very long distance HVDC transmission lines) and will in any case make them much more expensive than they seem at a quick glance. I’m not against the renewables per se. In fact I’m a producer and seller of renewable electricity myself (from hydro). I just think going nuclear would in many ways be the easiest way out of our current global carbon crisis. would be akin to “going postal”. No nukes. Unnecessary, as per Robert. The “easy” ways are often not the best. Also, that just allows the same clowns that created this mess to control global energy. Take ’em all down, asap, and let’s clean up every mess they’ve made, while not making any new messes. Opponents of greenhouse gas curbs like to promote adaptation instead. How have humans adapted to clmate change over the millenia? MIGRATION! The real reason for the Wall. The UN is taking leadership on key issues when the U.S. is backing away. People should understand that this ceding of moral high ground is also a ceding of far more effective soft power. I absolutely support the UN as an enabler of helpful policy and cooperation on global issues like environmental challenges, to prevent warfare, to address climate change, to help migrants and displaced persons, to reduce poverty, to spread democracy and equality, to combat hunger, to allow for family planning and population restraint, and to advocate for women’s rights, human rights, and basic freedoms. I agree with you that America’s soft power is being squandered by Trump. It was damaged by G W Bush, but it recovered considerably under Obama. In the UK, the Iraq War ended up obliterating any legacy Tony Blair would have left, so it probably hurt US soft power less than elsewhere. However, Trump has done one better. He may have stolen the US’ good name, but he is certainly greatly enriching himself-and his fellow thieves-in the process. Are you listening fellow Americans? The world is starting to fear us and the only way that we can redeem ourselves is if we expunge this harmful legacy and tendency once and for all. We are starting to walk down the path of so many abusive states in the past. The resistance of many of us will not be enough unless it is utterly and completely successful. The scar that Trump and the GOP has put on the good face of America must therefore be entirely removed. There can be no compromise in this. Our very future as a nation and our standing in the world is at stake. That’s how he’s going to MAGA. His fncking things up so badly and so obviously is a catalyst for massive positive change. Keep your wits and humour about you during the storm; it’s going to end and there’s a lot of great work to be done afterwards. Some good pieces speculating on what happens after Trump. “When the end of his presidency comes, this man’s sole priority will be to maximize his profit while propping up his ego. If undermining the rule of law and spreading a toxic lack of faith in the legitimacy of government by screaming “witch-hunt” and “coup d’etat” will allow him to monetize the rage surrounding his departure, then that is what he will do. If demonizing the Republican Party and destroying their electoral prospects will buttress his fragile ego, then destroy the Republicans he shall. If hurtling American foreign policy into chaos or sabotaging domestic insurance markets will produce distractions that could give him a safer exit ramp from the presidency, then he will create an emergency and damn the consequences. There is no orderly line of succession if one of our major political parties collapses. And I do not know whether the Republican Party will escape the collapse of this administration. Written less than a week after the election, Frank Rich is a bit negative here, just a bit. I don’t concur with his analysis, and that’s even before a lot more that’s inevitably going to go down before that clown exits the center ring. It’s going to get worse (ugh) before the show ends, but once it’s over, the majority are going to switch the station. “The best advice we had was that it would be better to move the golf holes farther inland, where there’s room for them, rather than disrupt the beach,” Ryan said. Ah, that wall thing again. Trump got his wall, but he built it to address something he has labeled a hoax. Of course the other wall, if built, would just exacerbate the climate change related displacement issue. Hypocritical action #1000. Just letting you know — working on the California fires article today. Broad scope of evidence for climate change influence in western fires this year. Effects of the fires on crops and migrant workers. “….The wildfires in Southern California have charred hundreds of thousands of acres and destroyed thousands of structures. They have also taken a toll on agriculture, a $45 billion industry in California that employs more than 400,000 people statewide. The Thomas fire, which has now spread from Ventura County into Santa Barbara County, struck the biggest avocado- and lemon-producing region in the United States. …Avocado orchards are particularly vulnerable: They line hillsides, which were in the path of the fire, and their dropped leaves collect on the ground, providing perfect tinder. Lemon groves tend to be located on flatter ground, and the trees do not shed their leaves. But they were battered by the same winds that spread the fires, blowing loose or badly scarring the fruit. Lemons cannot be sold once they have hit the ground, and damaged lemons suffer in quality and value. …Many farmers said the devastation would have been considerably worse were it not for the workers on the front lines, frenetically spraying water from hoses and small water tanks mounted on their backs. Sometimes workers resorted to shoveling sand onto smoldering vegetation. Some 36,000 farmworkers, the majority of them immigrants, work in Ventura County. About nine out of 10 farmworkers in the area are illegally in the country, according to independent estimates. One Mexican worker, who gave only his first name, Fermin, evacuated his wife and 5-year-old daughter from their trailer park, then went to the farm where he works. “The fire was all around us, and I felt despair and sadness for my boss and the land as I saw it approaching,” Fermin explained in Spanish during a break from clearing debris and repairing melted pipes. Extreme weather events this year impacting crops across the US. “Over the last few months, natural disasters have damaged other signature crops. The grape harvest was nearly complete when wildfires hit Northern California in October, but some growers are anxious about whether the taste of their wine could be tainted by smoke. Hurricane Irma in September inflicted more than $760 million in damage to Florida’s citrus groves. Adam Putnam, the Florida agriculture commissioner, said on Tuesday that citrus growers were still struggling with the devastation that has decimated this year’s production. Ha Robert or should I say Bob (Cratchit). You have my permission to take a few days off for the seasonal festivities. No extra coal for the stove though. This California thing is on hell of a nightmare just the same. Some off topic stuff for those that what to know. All the best to you and yours as well as all the posters and lurkers here! Cheers! The report, published in the online journal Science Advances on Wednesday, December 20, suggests that given the scope of the snake fungal disease caused by Ophidiomyces ophiodiicola, future surveys should operate under the assumption that all species harbor the pathogen. Also posted here yesterday by ColoradoBob. As noted there, I’ve observed that sort of fungal infestation in snakes going back many decades, always near flowing water. Seems to affect some resident populations and not others, at least in my experience. Some places, find snakes with it. Others, none have it. What I’ve seen wasn’t as pronounced as what appears on the snakes in the photos in the study. That’s far more advanced in condition that what I’d ever seen. My sense, it’s always been around but is exploding in recent decades due to some environmental co-factor. This piece points out, it’s definitely been around awhile. My earliest observations predate 1986, btw, by a good bit. I suppose it was 10-15 years ago that there was a serious threat to amphibians from fungal disease and then there was one that attacked bats. Probably these fungal outbreaks are symptomatic of the increasing stress that we are putting on ecosystems worldwide. Fungi are superb opportunist pathogens. They have recently ravaged western forests with the help of the pine bark beetle, and I’ve seen reports that the Cavendish banana, the major cultivar, is under threat from the same fungus that wiped out its predecessor in the 1950s. I’d posted a response a few daze ago; obviously didn’t log. In a response in an earlier thread, noted the concert of fungul diseases affecting classes of animals worldwide. Bats: white-nose syndrome = fungus. Bees: colony collapse disorder = fungus related. It’s not affecting just one species, or even just one genera or family. Obviously, something in way out-of-balance in the ecosystem at-large. Chytrid fungal disease was identified over 25 years ago. Researchers at a worldwide academic conference for folks that work with anurans realized many of them were experiencing a decline in the species they studied; it was becoming harder and harder to find sample animals. Many were embarrassed to admit it, figuring it was their fault they weren’t locating any. Comparting notes, realized something was up worldwide. The first ‘official’ victim was the Golden Bell toad of the Monteverde cloud forest in Costa Rica. Within a few years of the noting of decline, the species completely disappeared. None in captivity. It’s likely extinct. Ironically, researchers have realize it’s likely they’ve spread the fungus. It’s vector follows the paths of researchers. Probably hitchhiking on boots, socks, pants, etc. There’re a few, maybe several now, amphibian arks worldwide, where folks have collected and are maintaining species in captivity breeding programs, with the eye on a future absent the fungal pathogen, and a re-introduction of species now missing in the wild. The banana is different. It’s not just due to the fungus. It’s more to do with diminished genetics of the banana due to cloning over many decades. Same thing happened with Gros Michel. The pathogen that affected Big Mike is not the same one that’s taking out the Cavendish; it’s a different fungus. Meant to say, the golden toad of Costa Rica. Conflated the name with the golden bell frog of Australia. Pair in amplexus. Sexual dimorphic; bigger females, completely different coloration. The males were totally orange-gold. Hmmmm…wondering if those storm walls on the golf resort in Ireland will withstand pummelling by massive boulders thrown against them by storm surges. “Spectacular boulder deposits on the Co Mayo coast and parts of the western seaboard were caused by ferocious Atlantic storms – and not an unknown tsunami – long in Ireland’s geological past, a study has concluded. Geologists from NUI Galway and Oxford University published research comparing the Irish coastline with a location in New Zealand known to have been ravaged by a tsunami millions of years ago. The scientists conclude that giant waves, more than 30m in height, generated sufficient power to propel enormous boulders – some over 50 tonnes – onto the Irish foreshore, and in some instances up over cliffs of considerable height…..
….“Climate change means our shorelines are becoming more vulnerable, and the ability to read these piles of boulders will help us understand how much more vulnerable,” Prof Ryan added. “We all know tsunamis are frightening. I think it’s less well-appreciated how frightening storms can be,” he added. Given that storms are predicted to increase in both number and intensity in the future, “full understanding of the power of waves and their effect on coastal communities is really, really important”. This one isn’t the paper referenced above, however it coordinates with that info. More on wet bulb temperature. Greetings Robert, I hope you are well. I absolutely love reading your blog/ posts. They are informative, accurate and comprehensive – thank you! Being a New Zealanders living in Auckland and a passionate self appointed climate activist, I’m particularly interested in this article. Not only is it another piece of evidence proving the very real and powerful effects of man made climate change, but it confirms my own suspicions that the recent hot and dry weather we’ve been having is bizzare and concerning to say the least. I’ve been doing some work on a volunteer basis for COTAP – Check out my website here: https://cotap.org/blake/ Keen to connect/ have further dialogue about all things climate etc. Look forward to hearing from you soon, thank you and kind regards, Blake Richardson Primary School Teacher Auckland, N.Z. This article might be of interest to you there in NZ. “….In recent years, many of the country’s conservationists and residents have rallied behind Predator-Free 2050, an extraordinarily ambitious plan to save the country’s birds by eradicating its invasive predators. Native birds of prey will be unharmed, but Predator-Free 2050’s research strategy, which is released today, spells doom for rats, possums, and stoats (a large weasel). They are to die, every last one of them. No country, anywhere in the world, has managed such a task in an area that big. …. Feral cats negative impact on bird populations is enormous, not just in NZ; the numbers are staggering. From what I’d read, seems NZ include feral cats in the plan, though not openly. “Prosser said the fact pet cats weren’t mentioned in the government plan was because addressing that problem was “electorally impossible”. Asked yesterday about philanthropist Gareth Morgan’s goal to get rid of all cats, Key referred to his own pet cat, Moonbeam. “… cats claim 14 percent of modern bird, amphibian and mammal island extinctions. But what about the mainland? …..between 1.4 to 3.7 billion birds lose their lives to cats each year in the United States. Around 33 percent of the birds killed are non-native species (read: unwelcome). Even more startlingly, between 6.9 to 20.7 billion small mammals succumb to the predators. In urban areas, most of the mammals were pesky rats and mice, though rabbit, squirrel, shrew and vole carcasses turned up in rural and suburban locations. Just under 70 percent of those deaths, the authors calculate, occur at the paws of unowned cats, a number about three times the amount domesticated kitties slay. That high pressure system off the U.S. west coast is still blocking storms this 2017-18 winter. No rain in December augurs the return of the California drought.